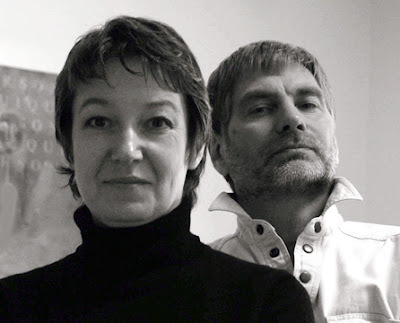 Please join me at The Art Center-Highland Park this Thursday at 6pm, as I interview the husband and wife collaborative painters, Igor Kozlovsky and Marina Sharapova. 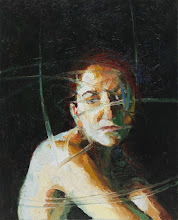 During the evening, I plan to explore the history, inspirations, challenges and achievements of these modern masters... All while surrounded by a variety of their paintings—currently on exhibit in the main gallery of The Art Center-Highland Park. The evening will conclude with questions from the audience and enough time for a second cup of coffee. You will also have an opportunity to take a closer look at the beautiful and elaborate paintings created Igor and Marina. 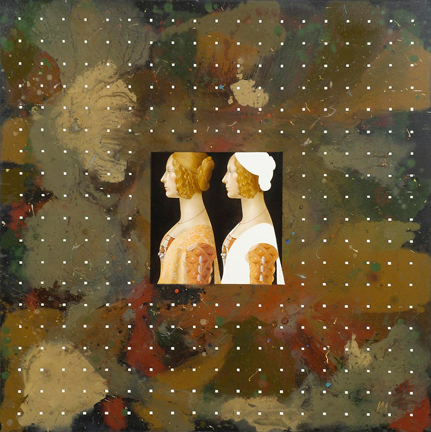 Igor and Marina, Tiny Squares 261, oil on canvas, 50" x 50"
A little insight: Igor and Marina reinterpret the imagery of the Renaissance masters while including surrealist elements. The imagery emerges as iconic in a mixture rendered figures contrasted by flat shape. 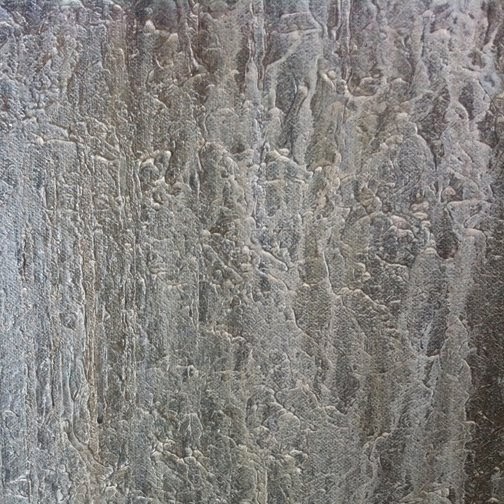 The artists infuse new meaning into familiar imagery, inviting the viewer to experience a newly created existence. 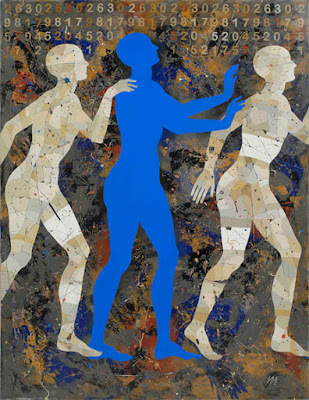 Igor and Marina, Walkers VIII (In Blue), oil on canvas, 62" x 48"
The Art Center-Highland Park is located at 1957 Sheridan Road in Highland Park, Illinois. 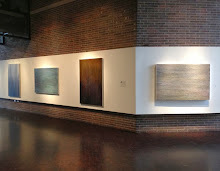 Gallery Hours are Monday through Friday from 9am–5pm, Saturday 9-4:30 and Sunday, by appointment. All work in the exhibition is available for purchase. The exhibition continues through January 2. The Art Center-Highland Park is dedicated to promoting the appreciation of contemporary fine art through exhibitions by both established and emerging artists. We foster creativity through the experience and discussion of fine art and offer extensive educational opportunities through a broad range of classes, panel discussions, workshops and lectures. A nonprofit organization, The Art Center-Highland Park connects artists with the community at large—supporting creativity at every level.